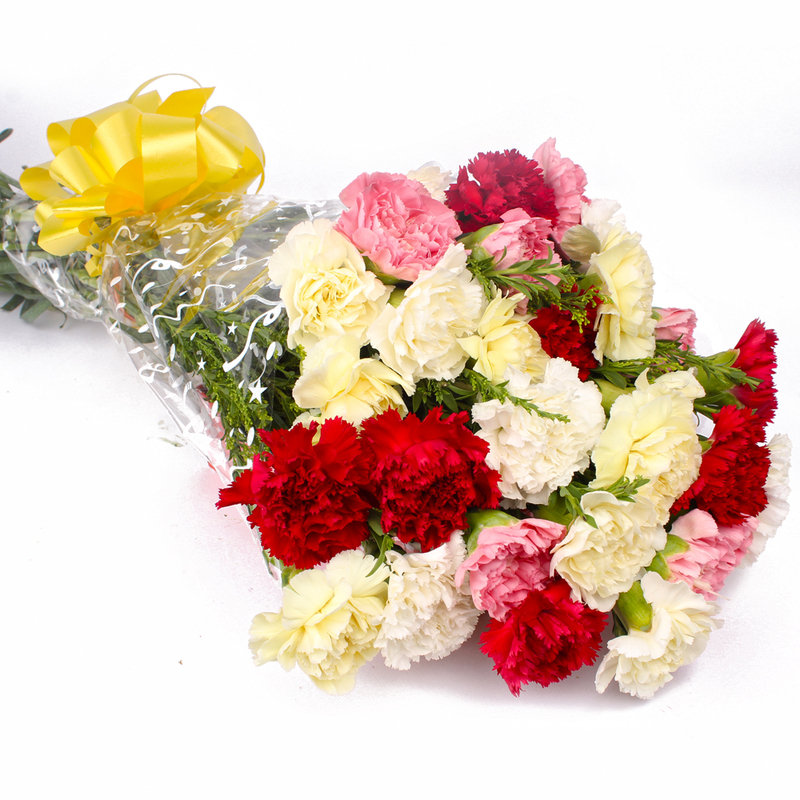 Product Consist : 25 Colorful Carnations with green fillers in Cellophane Wrapping with Ribbon Bow on it. 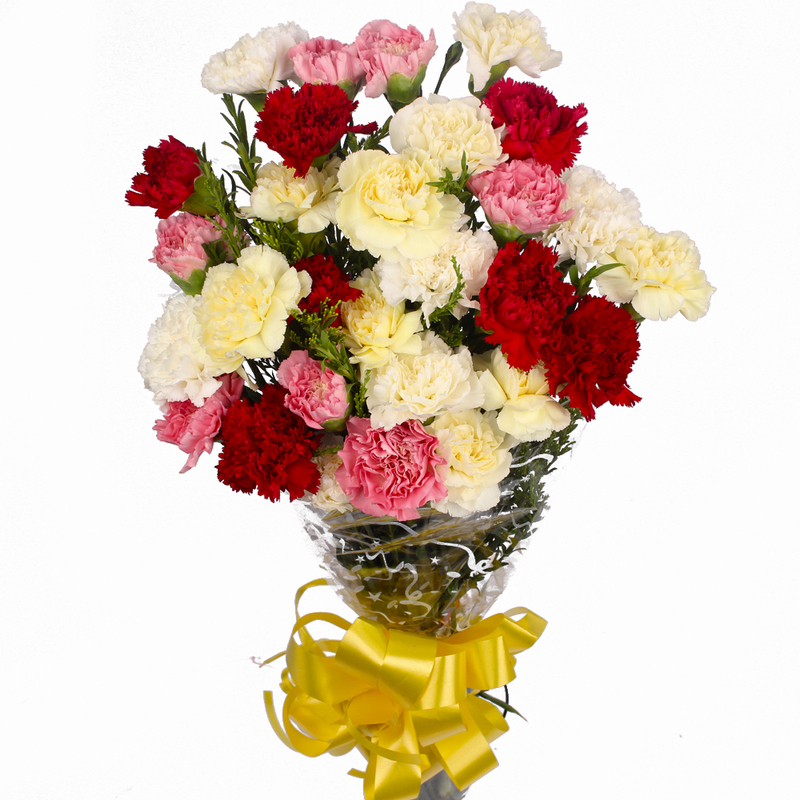 Give a lovely surprise to your beloved first thing in the morning with this bouquet of 25 Colorful Carnations. 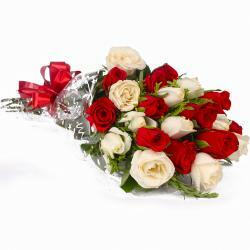 The flowers are in full bloom and fresh hence look mesmerizing. They have been packed in cellophane paper with a matching ribbon tied around them in the shape of a bow. 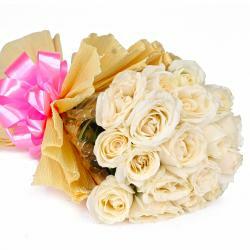 The flowers hold their arranged for the packaging. 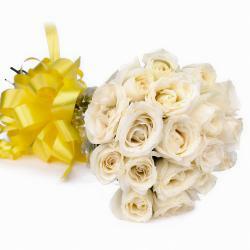 You can also send these flowers as a gift on Birthday, Anniversary, Missing You, Ganesh Chaturthi, Boss Day and Womens Day. 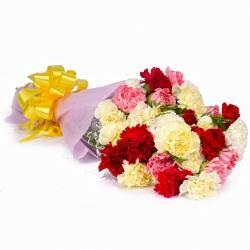 Product contains : Twenty Five Colorful Carnations with green fillers in Cellophane Wrapping with Ribbon Bow on it.